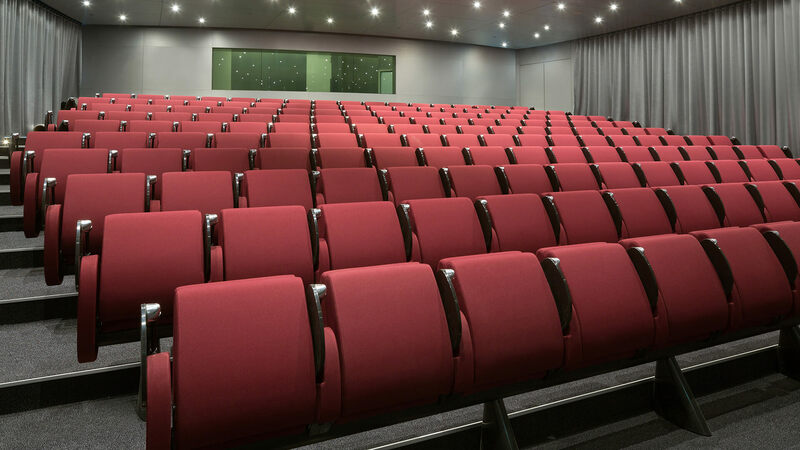 LAMM has contributed to the realisation of the conference hall at Anangel Maritime Group new headquarters in Athens (Greece) with the supply of Tulip armchairs. 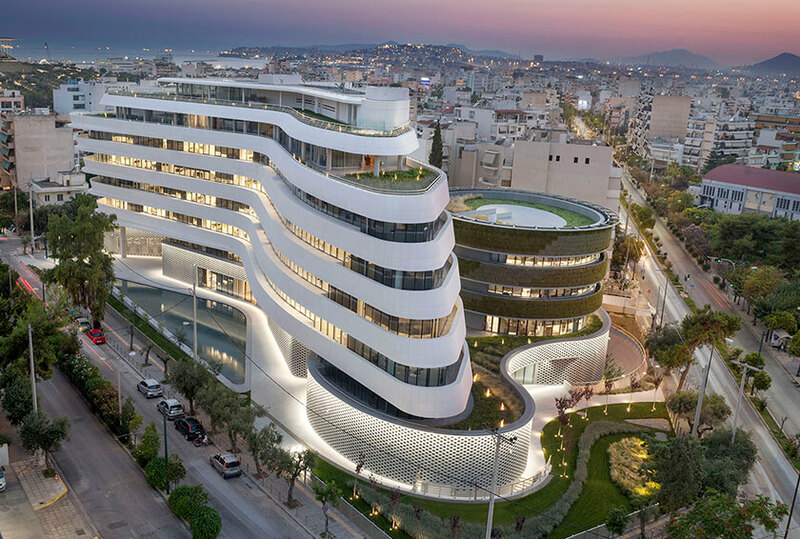 The new head office of the biggest Greek maritime group, with its 30.616 m2, is one of the most impressive buildings ever constructed in Athens for the private sector. Designed by the firm Sparch Architects, this ship-like structure with rounded lines consists of two sections, connected with suspension bridges. A special attention was devoted to the lighting design of workspaces and façades, a project developed by Eleftheria Deko Lighting Design, which won the first prize at the last Darc Awards. In terms of sustainability, the quality of the Athenian structure is also attested by the LEED Platinum certification. Tulip armchairs by LAMM have been installed in this prestigious context, thanks to the collaboration of the dealer Tsaoussoglou. 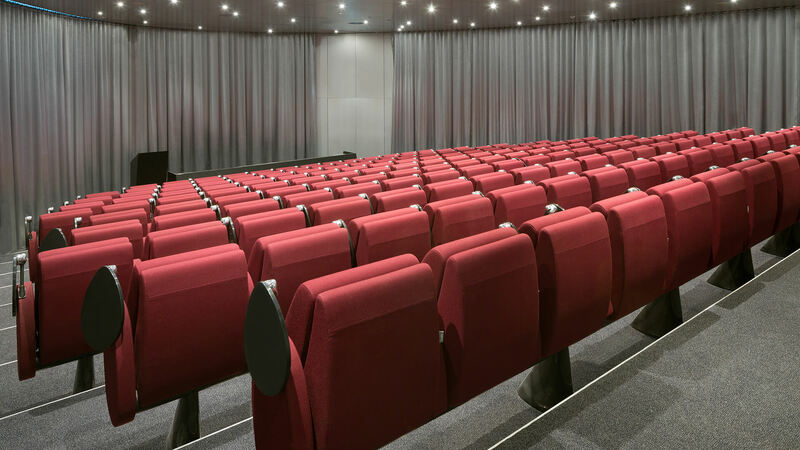 Conceived by Bartoli Design, Tulip is a conference armchair characterised by the synchronised innovative opening system of seats and armrests and a compact and rounded shape, which facilitates its inclusion in different architectural settings. 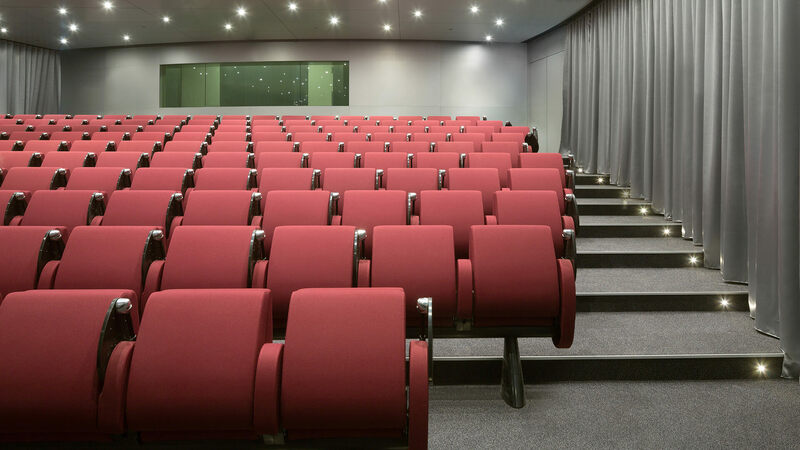 Chosen in the beam-mounted version and equipped with writing tablets, the armchairs have been arranged in straight rows on steps.